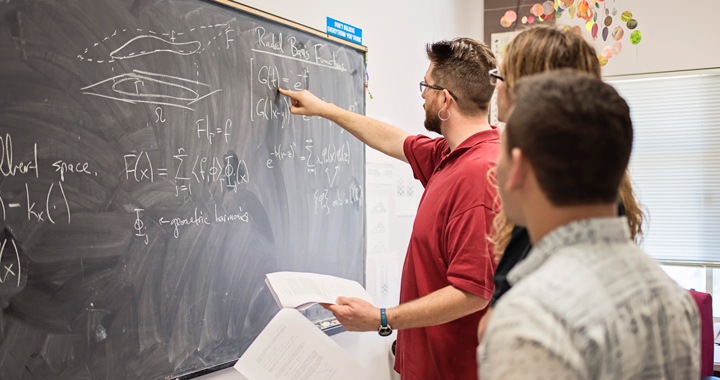 Mathematics students and faculty pursued diverse research projects this summer, from figuring out how students learn to the arithmetic of projective conics. Twenty Cal Poly students who have received state and national awards and other honors will be recognized for their accomplishments by state lawmakers at the Capitol in Sacramento on March 9. 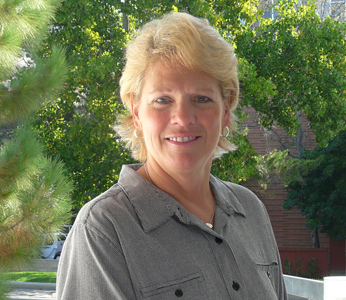 Cal Poly and the Santa Maria-Bonita School District received a $1.8 million California Mathematics and Science Partnership grant from the state Department of Education for a program to improve elementary and middle school student achievement in mathematics. I’d like to begin by thanking you, our alumni and friends, for all the support you've given us over the last year. Two new facilities projects have been made possible by your generous donations combined with funding from the College of Science & Mathematics. As you know, the new 189,000-square-foot Warren J. Baker Center for Science & Mathematics opened last year. This year, our Math Club moved into a beautiful new space in the Center. Faculty members have been active academically, publishing a number of articles and book chapters and presenting at conferences. Congratulations to all our scholarship and award winners, as well as our 2014 graduates! The 30th annual Mathematical Contest in Modeling took place in February 2014 with 6,755 teams representing institutions from 18 countries. 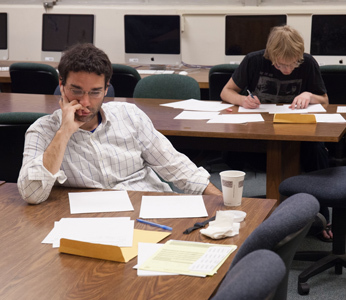 Cal Poly fielded five teams of three students each, coached by Professor Charles Camp. No newsletter is complete without a little something to get the mathematical juices flowing. This one is fitting for 2015.